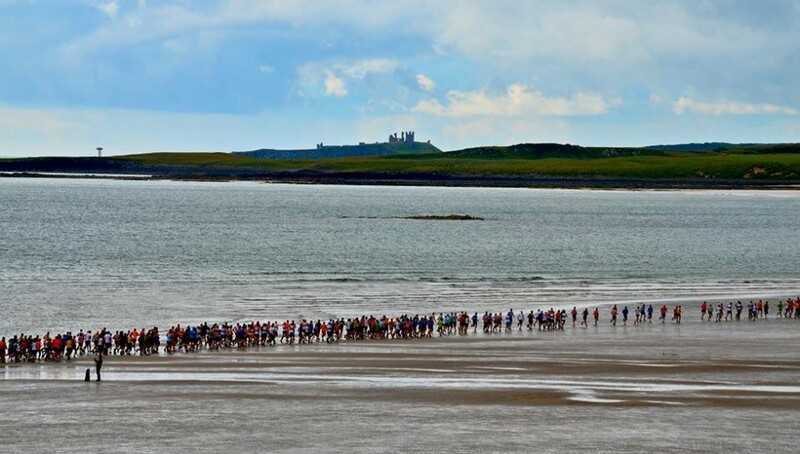 Further south 2 Harriers were in action in the Run Northumberland organised Alnwick to Bamburgh Castles Marathon. Mel STEER performed superbly finishing the route in 3.58.16 to finish 39th. Mairi CAMPBELL was 62nd in 4.20.05. Also that day Cris ATWELL was taking part in his 5th consecutive Newcastle Town Moor Marathon. Also slowed down by the wind Cris finished 78th in 4.08.36. The previous day there was double success for the LILLICO’s in the Howick 5 Mile Trail Race. Jim was a superb 3rd in this race, which was held at the Howick Hall Estate, in 32.27. Daughter Annabel was 13th overall and 2nd female in 39.20. Well done to both. Earlier that day Mark JEFFERIES was once again racing in the Northampton Parkrun. Mark was 26th of the 236 runners in 20.29 (64.04 %). The final action of the weekend came in Ireland on Monday 28th October courtesy of club Treasurer Stu CARTER. Stu has struggled with illness and injury during his training but still managed to perform well finishing the Dublin Marathon in 3.33.55. Back on Wednesday 23rd October two Harriers made the journey west for the Border Reivers Half Marathon at RAF Spadeadam near Haltwhistle. In windy conditions and on an undulating course, with some road and some trail sections, John ROSS said “that’s my 157th and possibly one of the hardest half marathons I’ve ever done”. No results for John and Mark DOCTOR have been found as yet, but will be added here asap. Times weren’t quick though!